Hobbit has been beatboxing since 2003, performing everything from intimate gigs to stadium tours across the world. Passionate to push the artform as well as himself. Proof in this is being the official 2x UK Loopstation Champion, 3x UK Team Champion and integral member of World Champion beatboxers, 'The Beatbox Collective'. His show has taken him from Glastonbury Festival to Times Square. This has given him opportunities to work with Virgin Media, Microsoft Windows, Audix, SKY, Roland and also artists such as UK Pop Legend Gabrielle. In 2010, Hobbit co-wrote and performed the soundtrack to 20 Stories High’s theatre production, "Ghost Boy". Due to the success of this, he was asked to create more music with cellist Hannah Marshall on their next show, "Melody Loses Her Mojo". 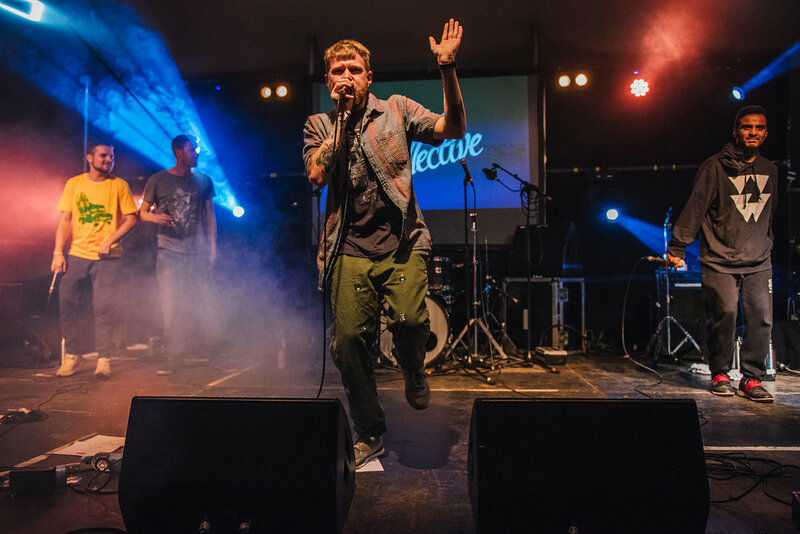 In 2016 he returned to the stage as part of “The Broke'n' Beat Collective” international tour to create all the music and soundscape live, as well as being an integral member of the cast. This process helped lead the shows to 5 star rave reviews. In 2019, he is back on the theatre stage having co-composed and performing all the music for Big Up! with just him and a Boss Loopstation. Hobbit got to show his versatility as an artist by playing with Indian kathak performer Guari Sharma Tripathi, curating a live Beatbox and Comedy show with the incredibly funny Jarred Christmas; which has toured the UK and had a run at the Edinburgh Fringe Festival, is a member of legendary UK A Capella group 'The Magnets' and voicing the character 'Juke' on Cartoon Network show “The Amazing World of Gumball” among much more. A true creative force and with many other exciting projects lined up for the year. Expect to see more from one of the finest beatboxers the world has to offer. Thank you for getting in contact. Will aim to reply to your message as soon as possible. Thank you for signing up. You’ll be the first to receive exclusive news, updates and content!